We are currently providing two approaches to enable searching NOAA's vast data holdings: the traditional NOAA Data Catalog for all data, and the new NOAA OneStop catalog which initially includes only the archived datasets but will eventually replace the traditional catalog. 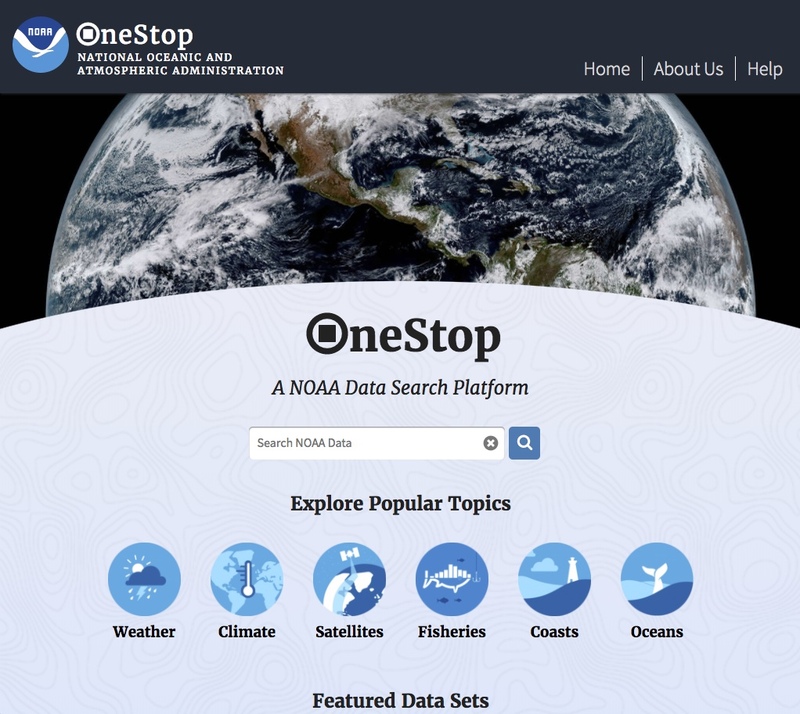 NOAA OneStop provides enhanced collection and granule searching for only those datasets archived at the National Centers for Environmental Information (NCEI). Emphasis is on both improved search relevancy and overall user experience. 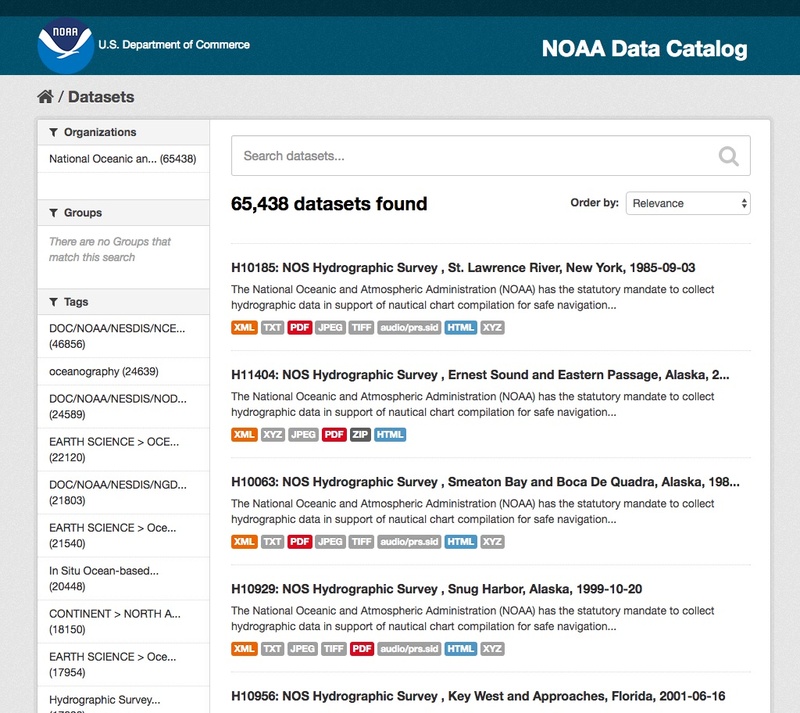 The NOAA Data Catalog is an inventory of all NOAA data collections. The user interface allows web-based searching by keywords and other attributes; machine-to-machine searching is available using the OGC CSW protocol (Open Geospatial Consortium Catalog Service for the Web).